If you have ever owned a Black Lab, then you know this figurine is the perfect Black Lab statue. Heck, even if you haven’t owned one, I am sure you have seen a Lab in this position before. 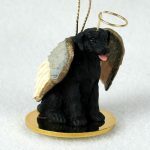 Our Black Lab dog figurine was designed with the ever so famous Lab sitting position in mind. Front legs slightly bent forward and chest protruded out. 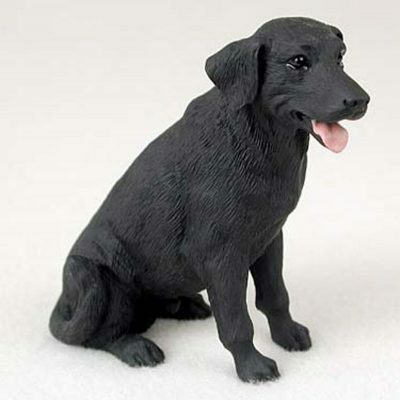 The figurine is solid black with a pink tongue. 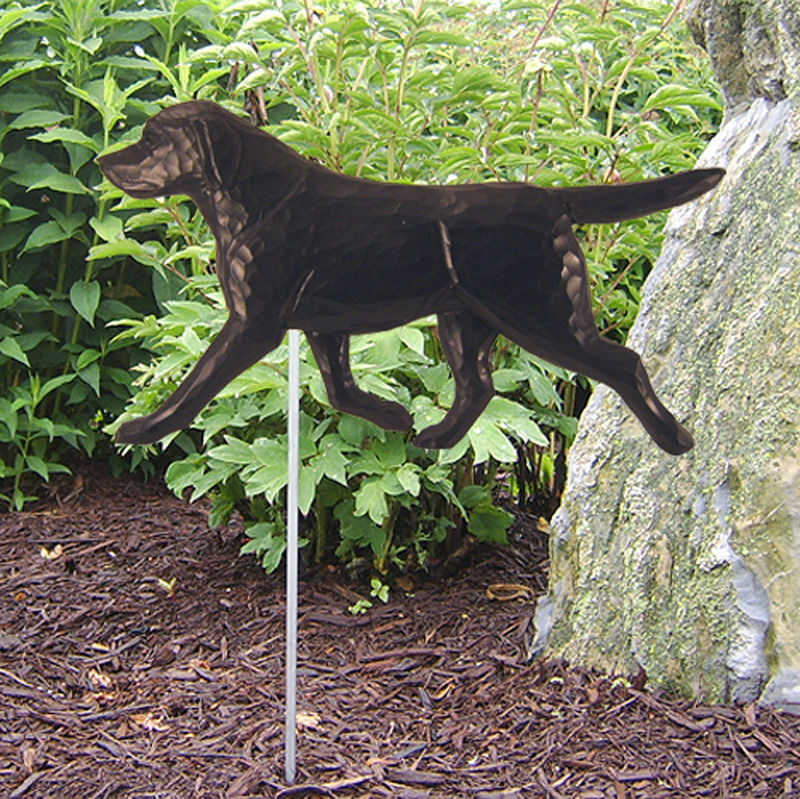 Use as a memory of a lost dog in a memorial or as a gift. I’m really kinda bummed there isn’t a 6th star for the rating, because I would have clicked on it. This has to be one of the best gifts I’ve ever bought/given. A friend of mine had a sick lab, who finally passed on. I did some searching on the internet, and found your site. The Black Lab figurine sounded like a great idea. I sent in a picture that I’d found on an earlier Instagram post to raise funds for the dogs cancer treatment. When I got the figurine in the mail, it was gift wrapped nicely. I really wanted to have a look at it before giving it to my friend. But, being the typical male, if I’d re wrapped it, it would have looked like it had been thrown from a moving car. Better to leave your nice wrapping job alone. I gave it to my friend, and asked that she not open it until after work. I really didn’t know if this would turn out to have been a great idea… or a horrible one. She and her boyfriend opened it up later that evening at home and she absolutely loved it. She has her dogs ashes and a framed copy of the same picture that I sent in, sitting on a shelf at home. Now the figurine sits with it. The size is just right. I didn’t want something so big that it’d be “too much”. I really just wanted something that would be a subtle reminder of the dog she missed. The custom paint match to the markings on his chest, paws, etc is just perfect. I’d recommend this to anyone. 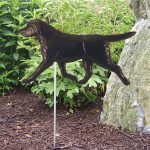 It’s an excellent reminder of your dog, living or not. The personal touch of the paint was just what the doctor ordered.